The Industrial CFIII cards are specifically designed for industrial and mission-critical applications, to meet the strict demands of high-end equipment that run at extreme temperature. Besides, it is with shock and vibration resistance, less power consumption, and higher error detection and correction capabilities, providing industrial users with durability and reliability. 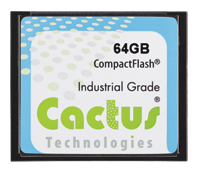 The industrial CF5 card is compliant with the CFA 4.1 specifications. Apacer adopts the standard 50-pin connector and SLC chip featuring industry-level stability for the card. It also boasts resistance to extended temperatures (-40°C to 85°C), and is available in capacities from 128MB to 64GB. 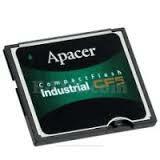 Apacer industrial CF6 card is compliant with the CFA 6.0 specifications. 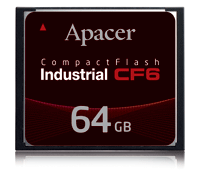 Apacer adopts the standard 50-pin connector and SLC chip featuring industry-level stability for the card. 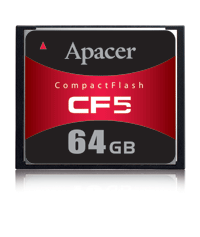 It is available in capacities from 512MB to 64GB. 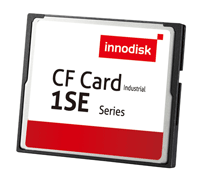 Designed to replace traditional rotating disk drives, Innodisk Industrial CompactFlash® 1SE Memory Cards are embedded solid-state data storage systems for mobile computing and the industrial work place. 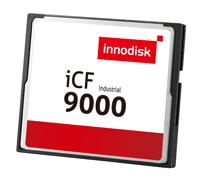 The Innodisk Industrial CompactFlash® 9000 Memory Card (iCF 9000) products provide high capacity solid-state flash memory that electrically complies with the True IDE Mode that is electrically compatible with an IDE disk drive. 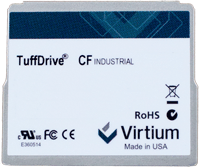 These cards are optimal storage solutions for the rugged requirements of single board computers and a variety of embedded systems ranging from point of sale terminals to networking equipment to industrial automation.